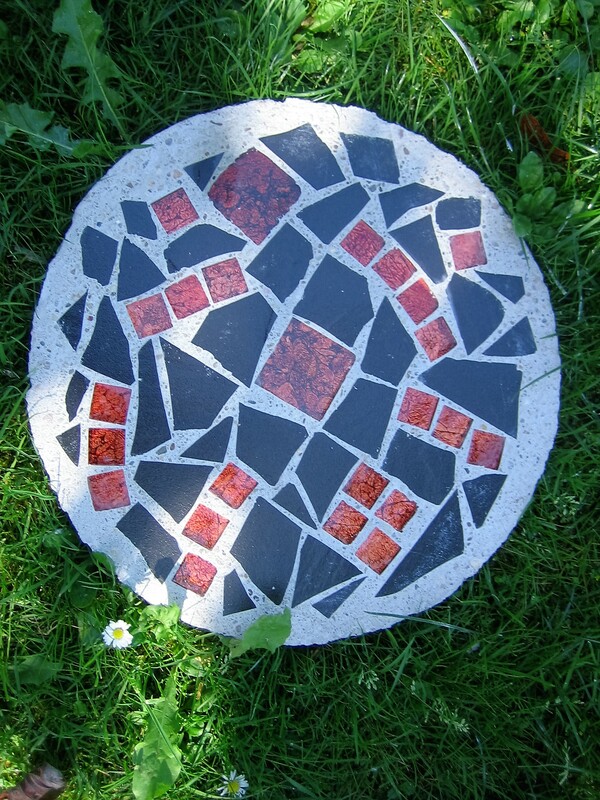 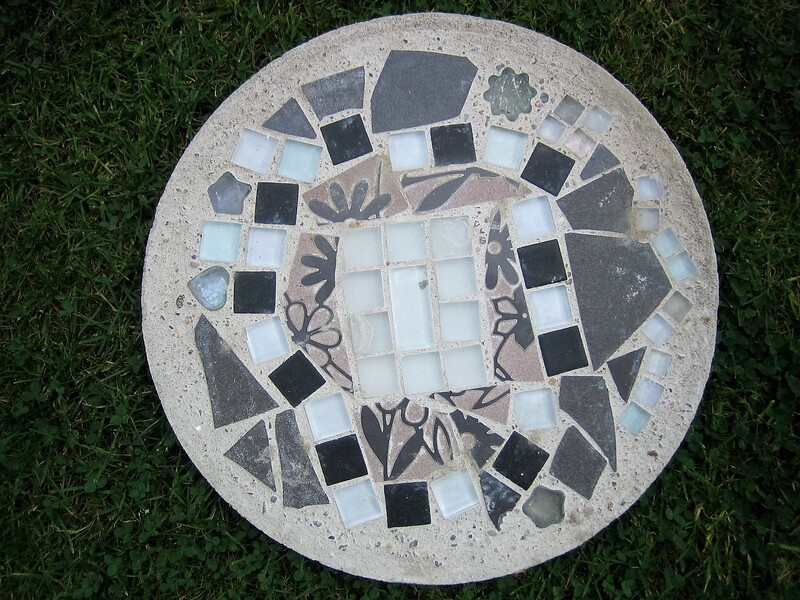 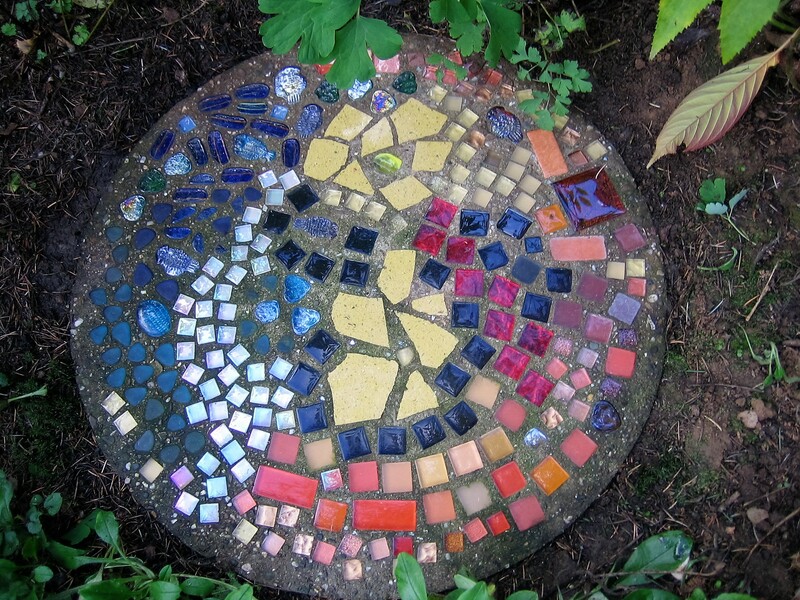 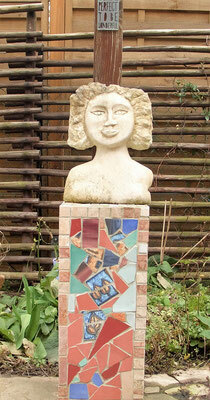 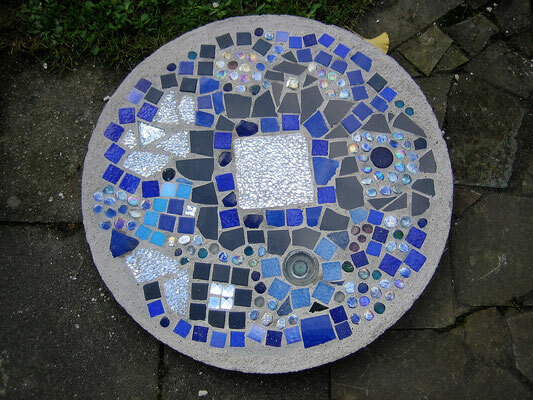 Here are some of my mosaics. 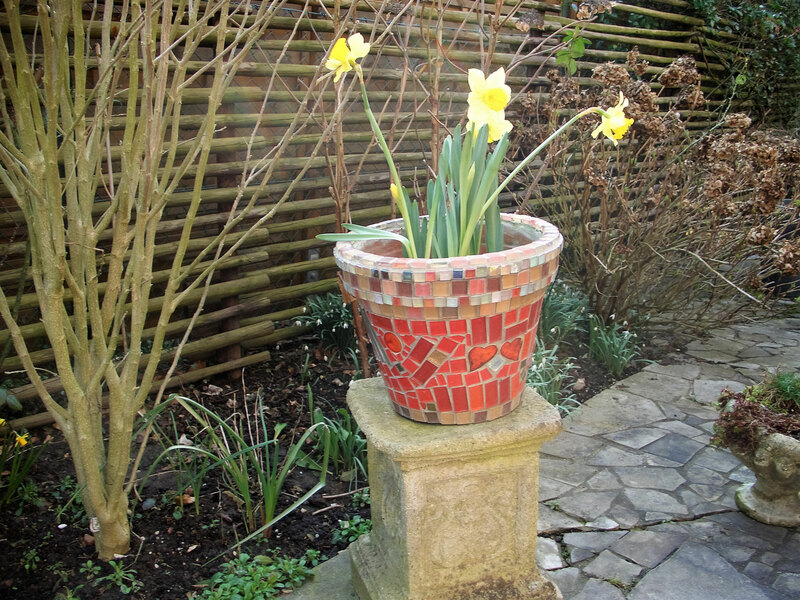 The plinth on the left is made of 'Ytong' a kind of 'Breeze Block'. 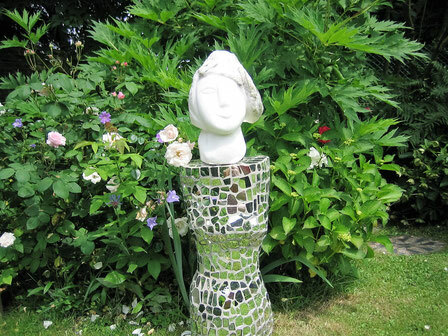 It's made to resemble a torso. 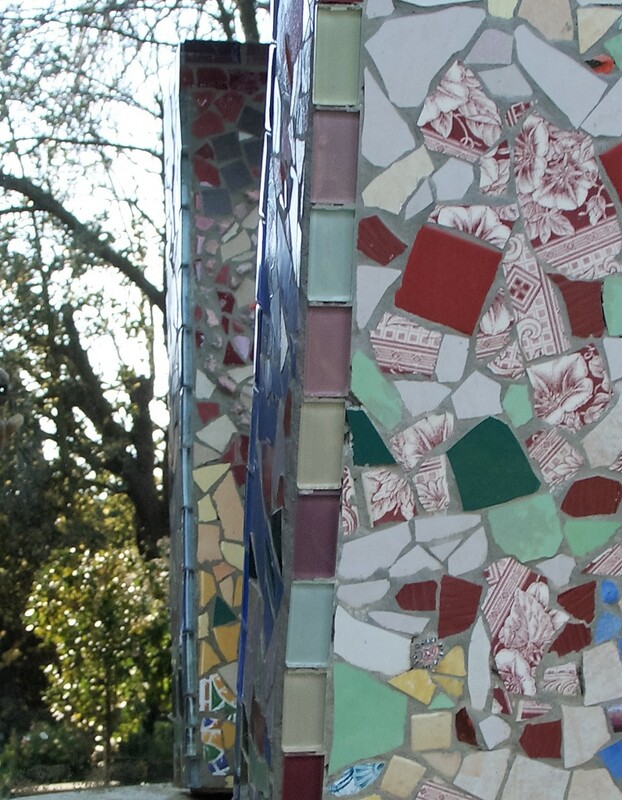 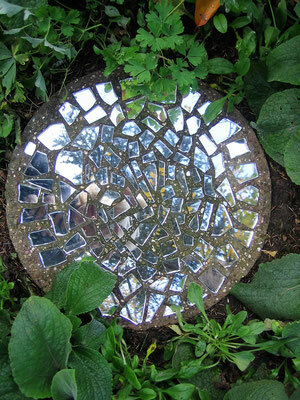 I covered it with broken, mirrored glass tiles. 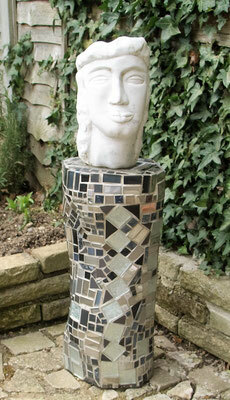 Below are some other examples of my mosaics. 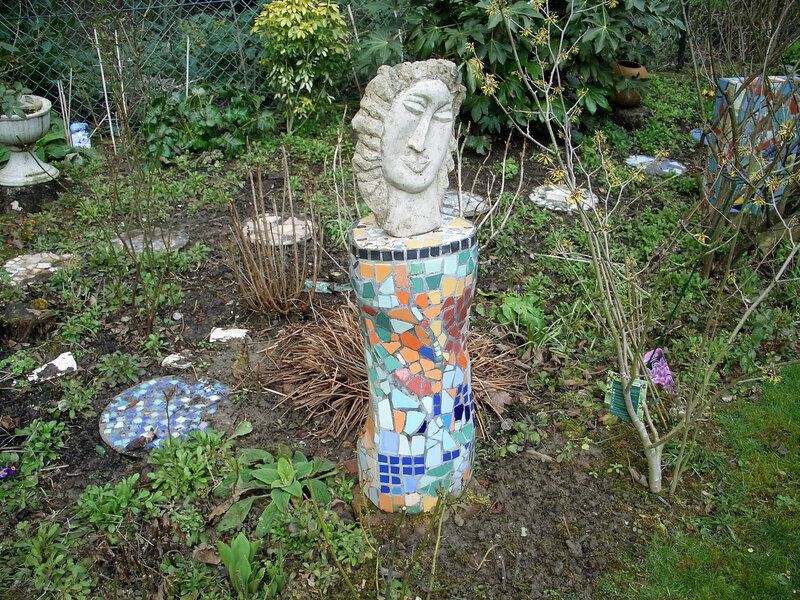 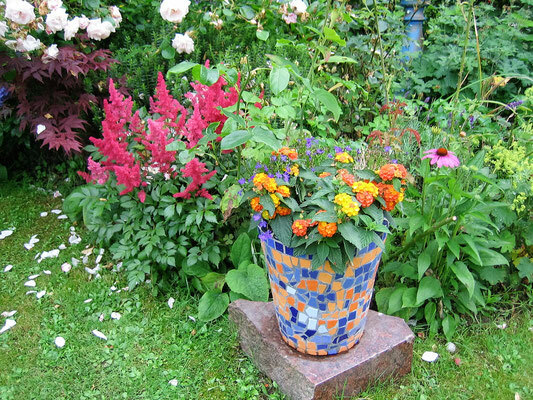 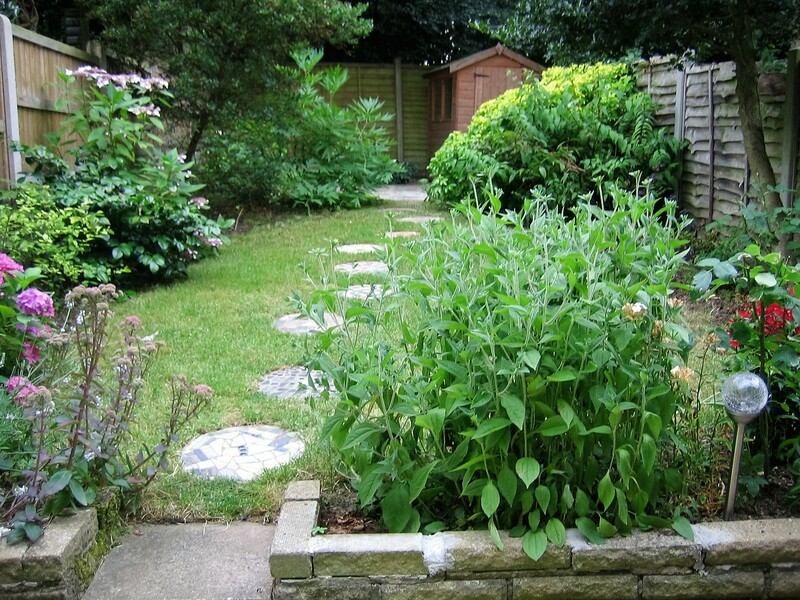 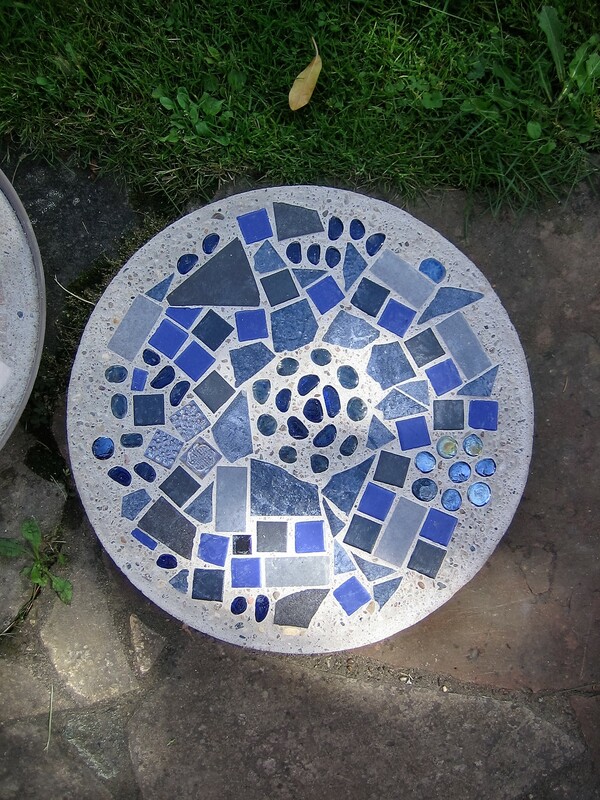 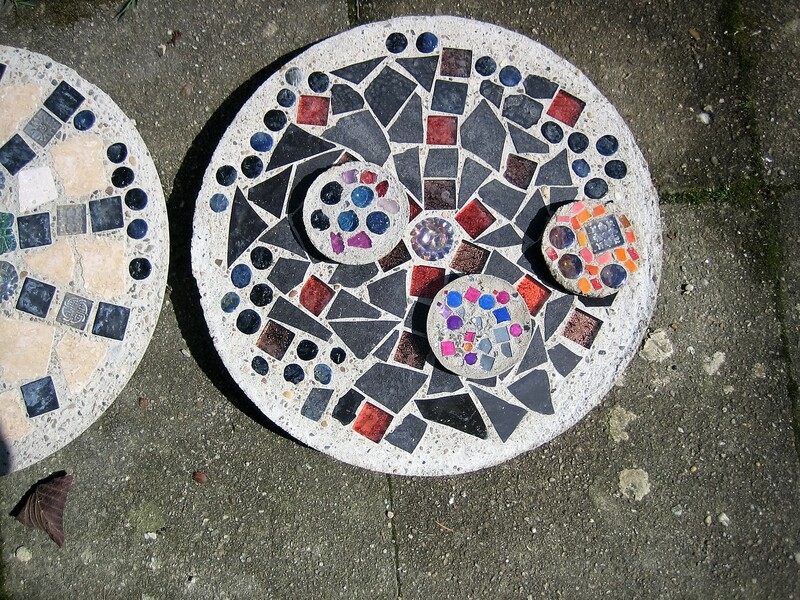 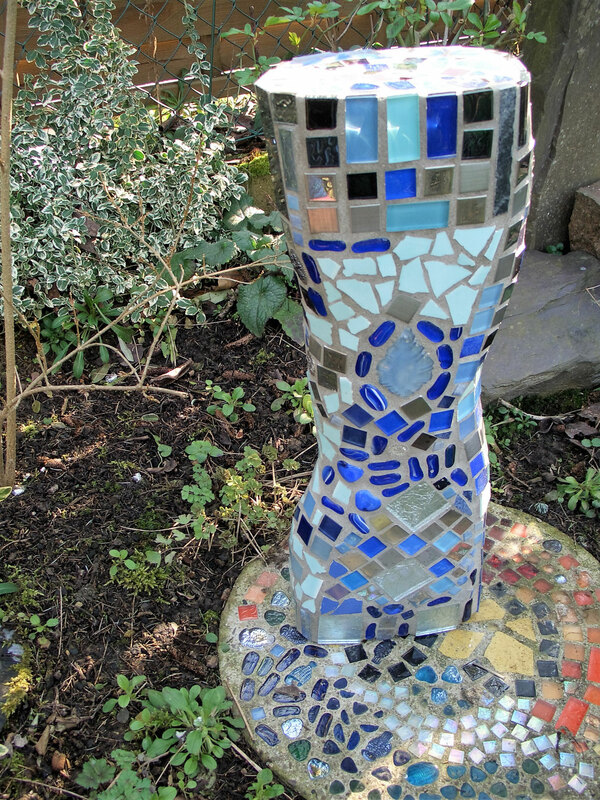 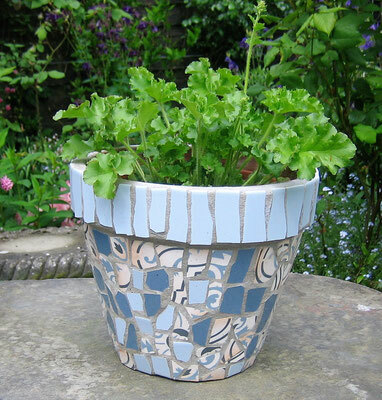 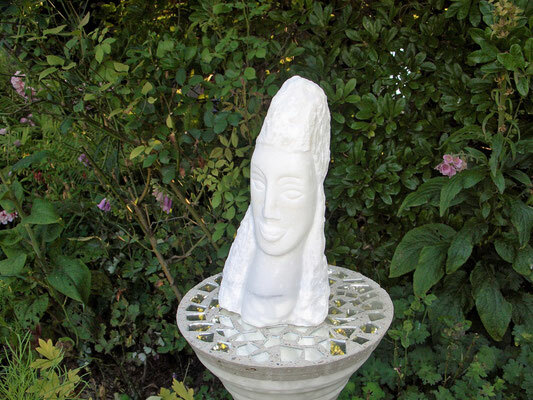 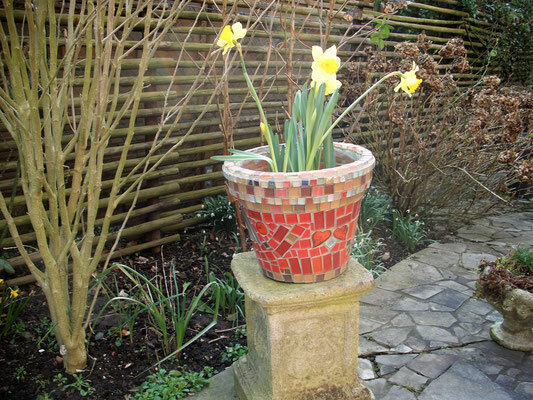 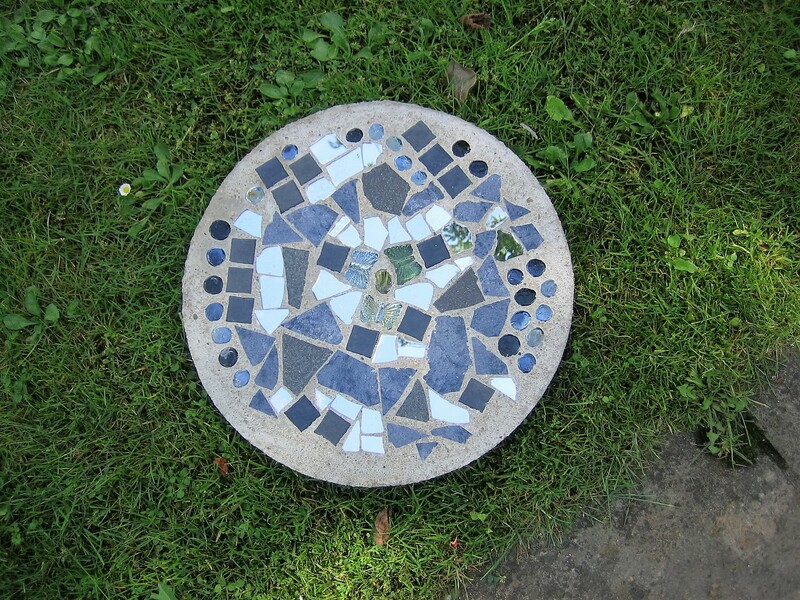 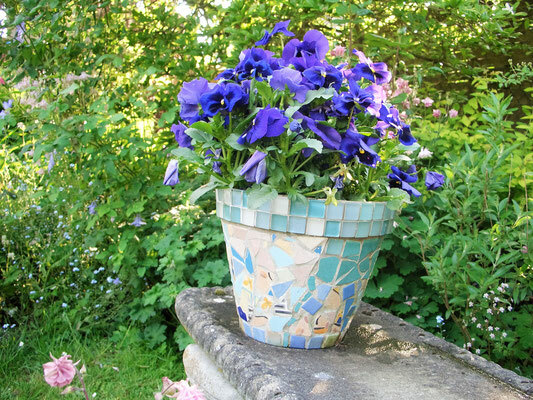 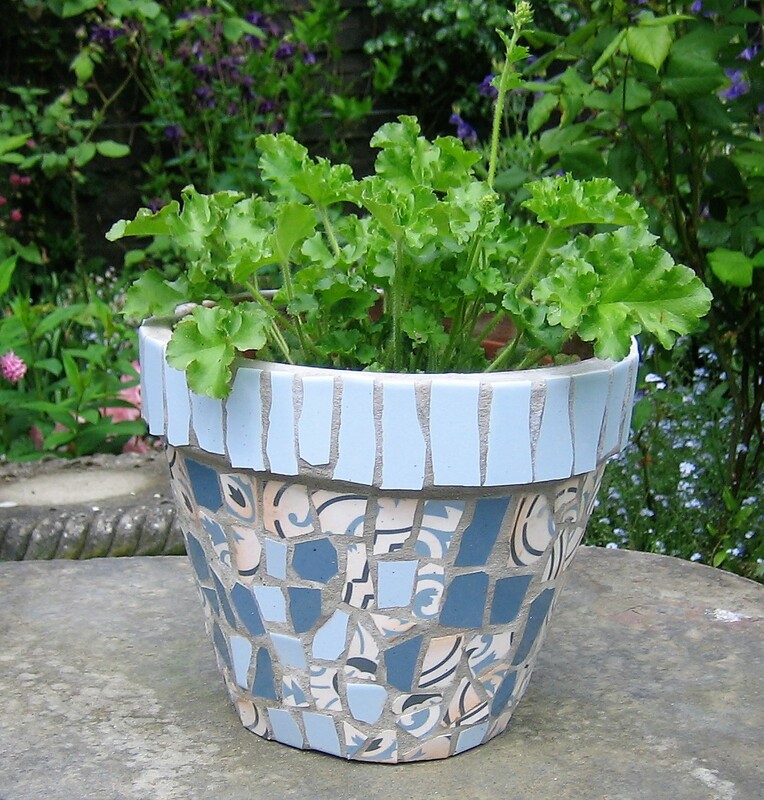 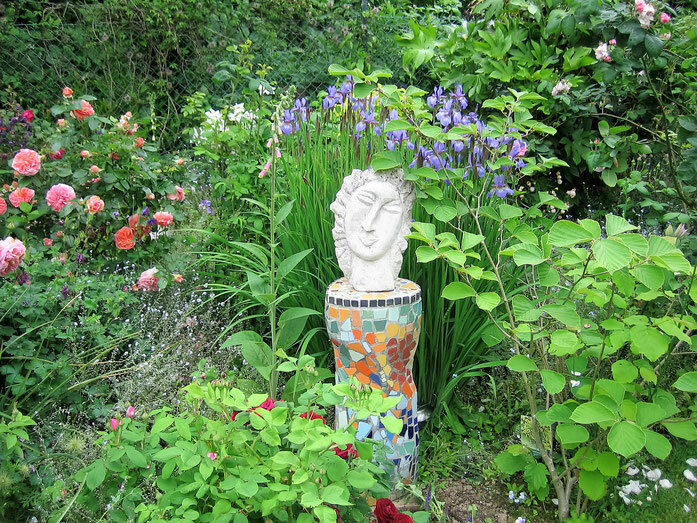 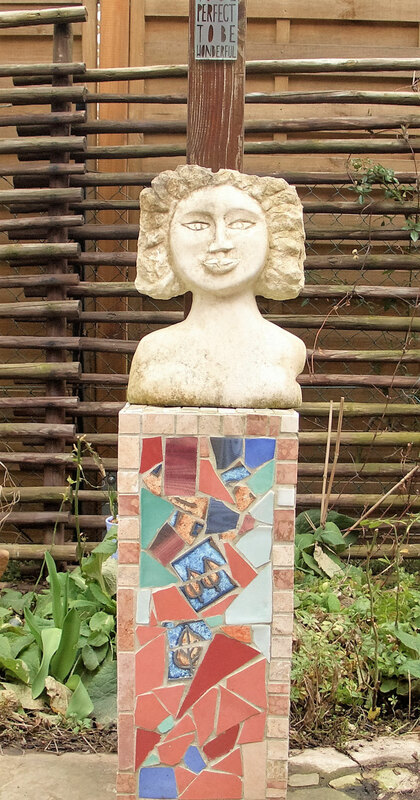 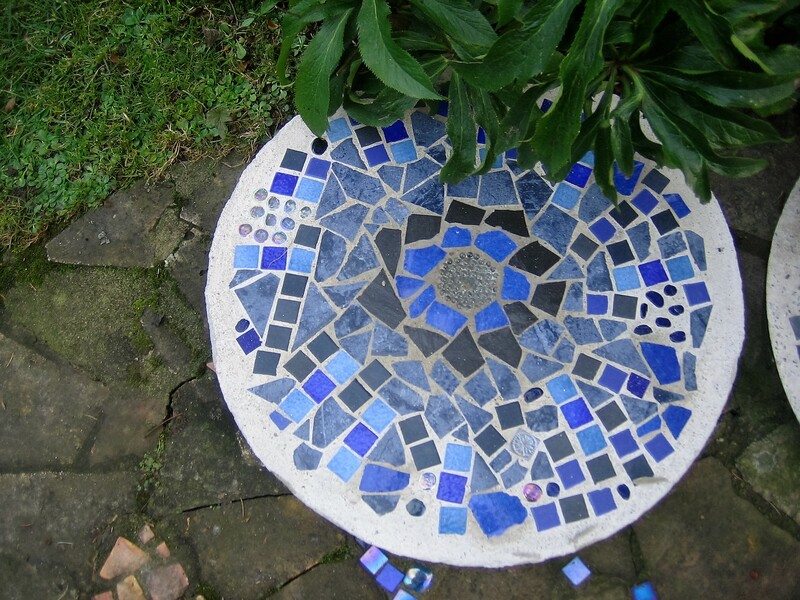 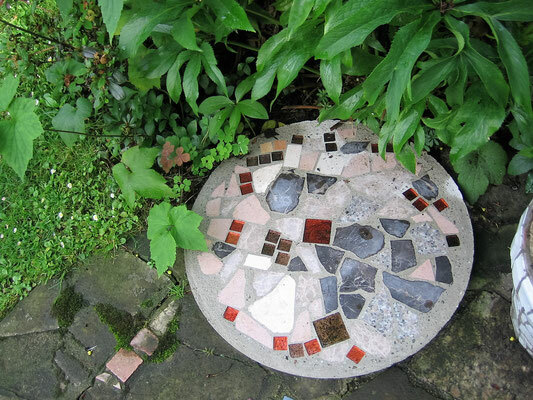 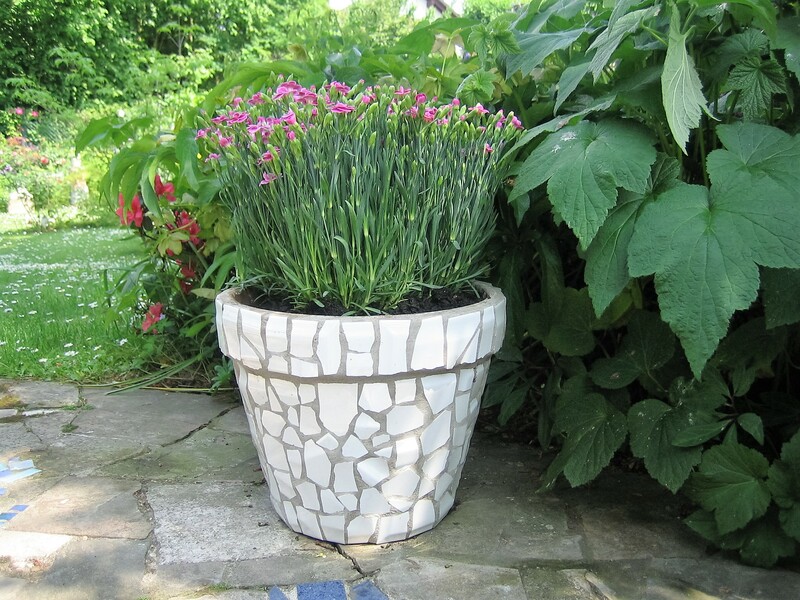 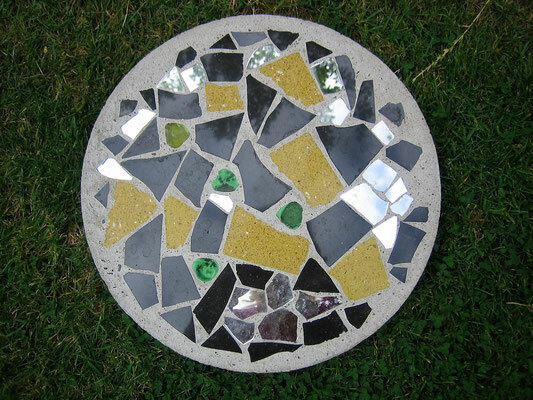 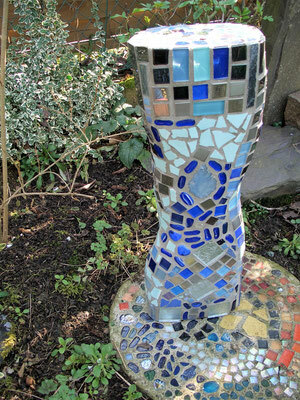 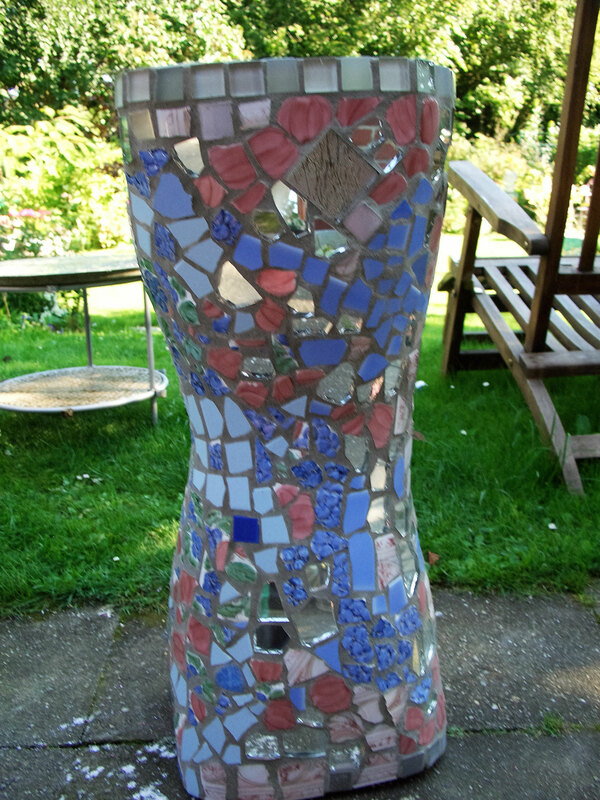 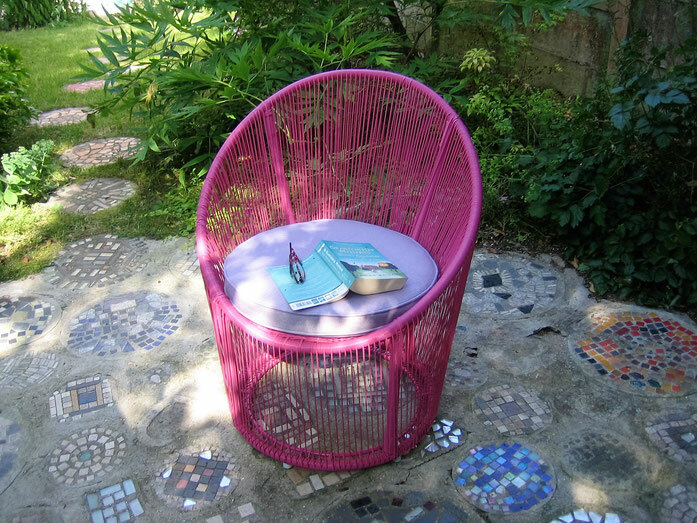 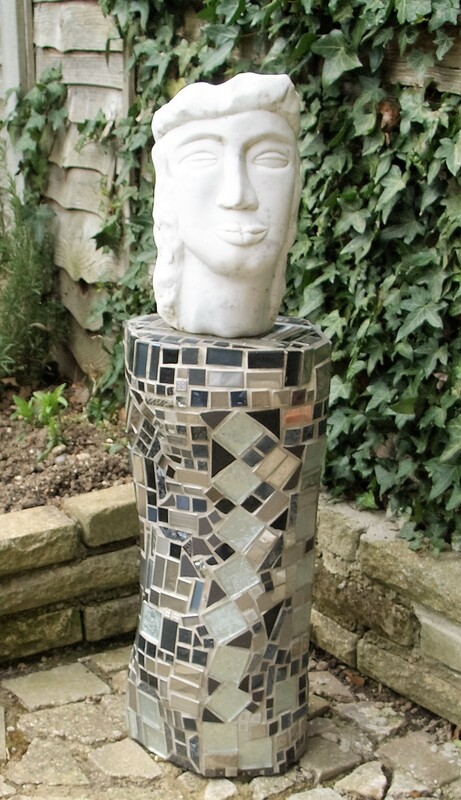 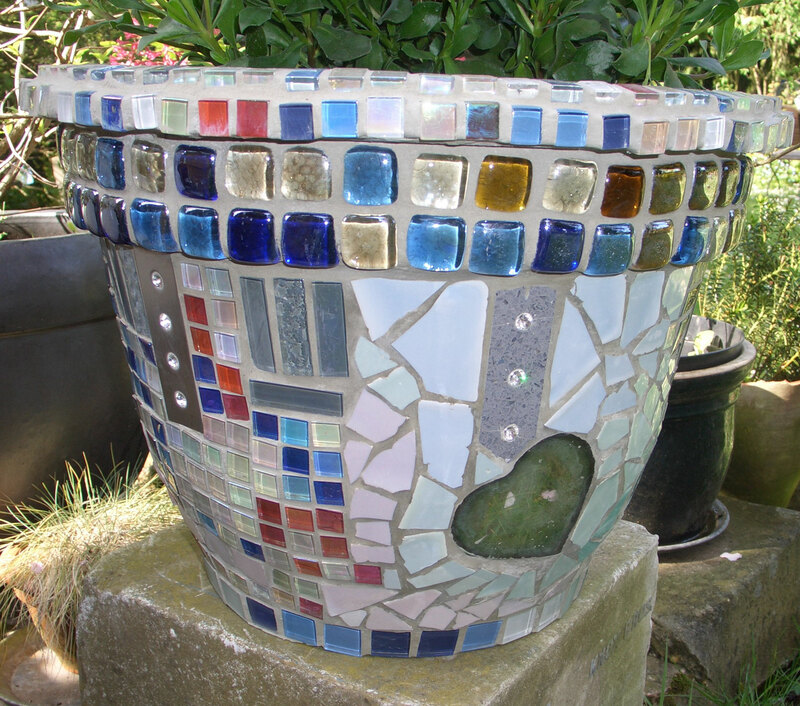 Plinths, flower pots, stepping stones and a patio made of mosaics. 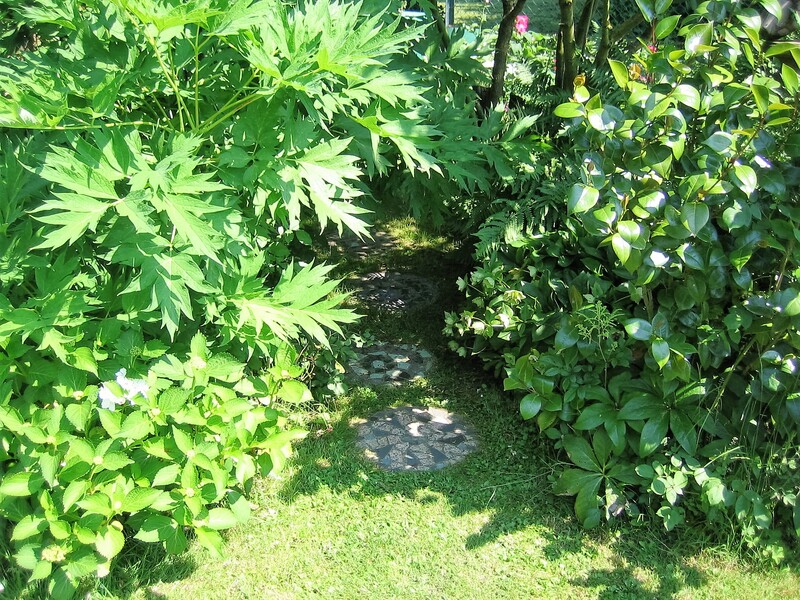 Those stepping stones are quite useful in the garden. 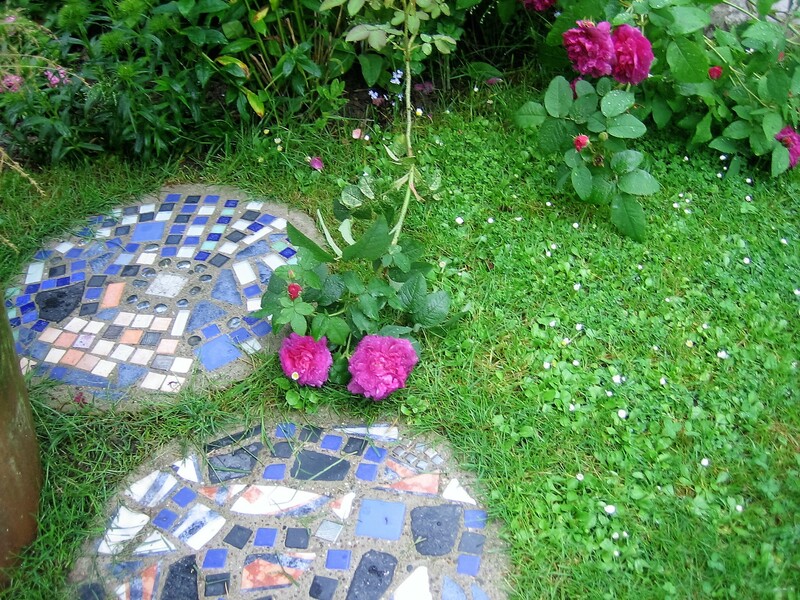 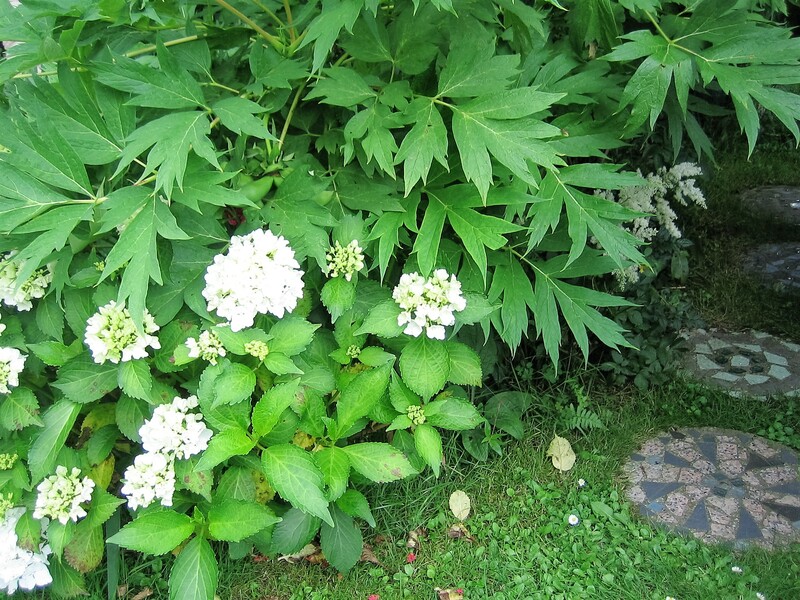 You can use them as a path way or why not put them in between the flower border. 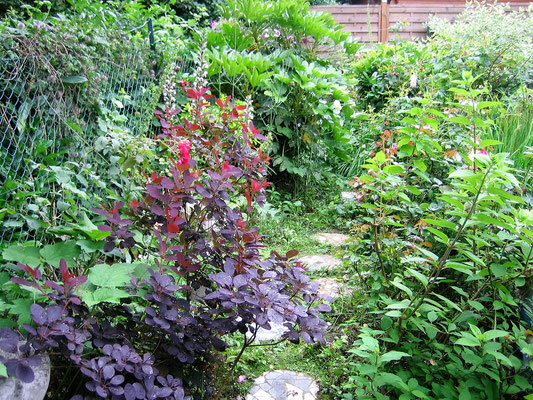 Save treading on the plants. You could also put them where nothing else grows. You have a nice feature in an otherwise boring place. They are quite easy to make. 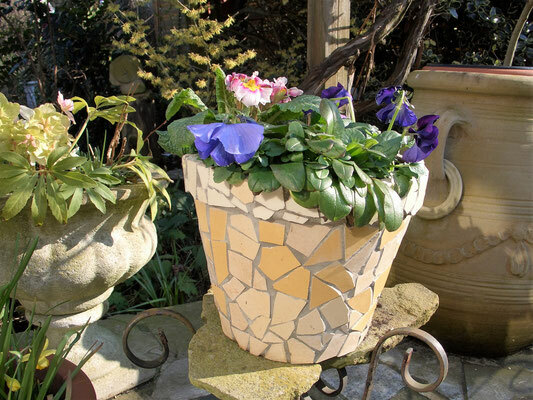 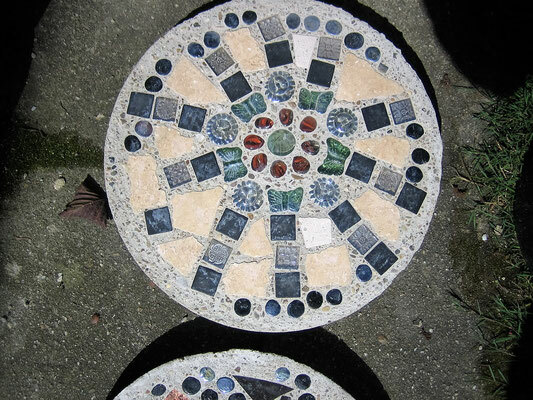 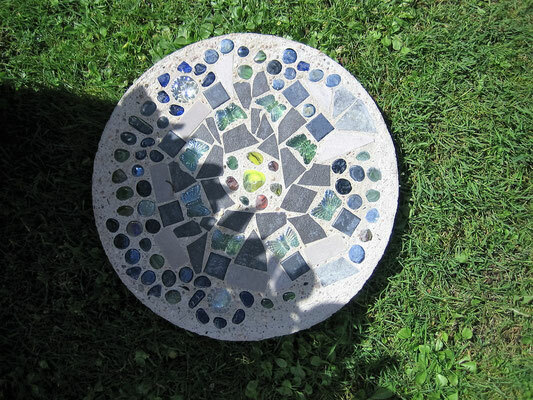 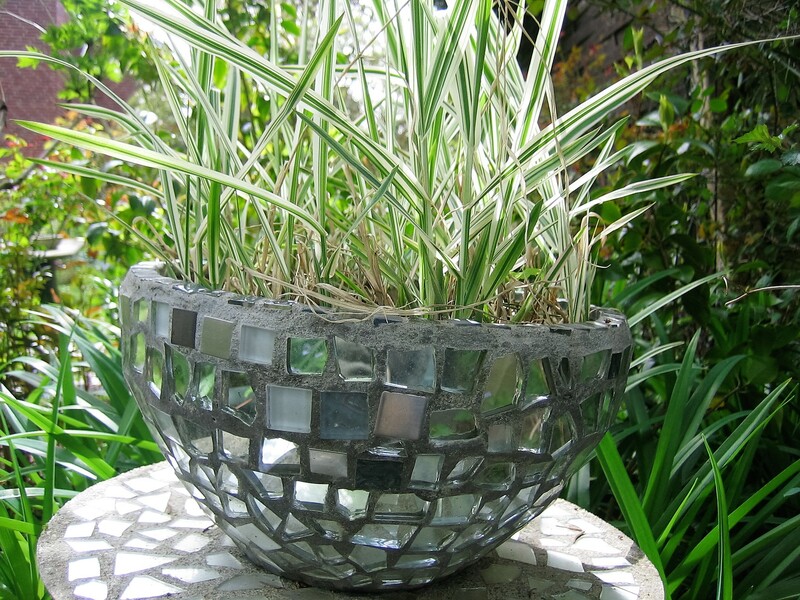 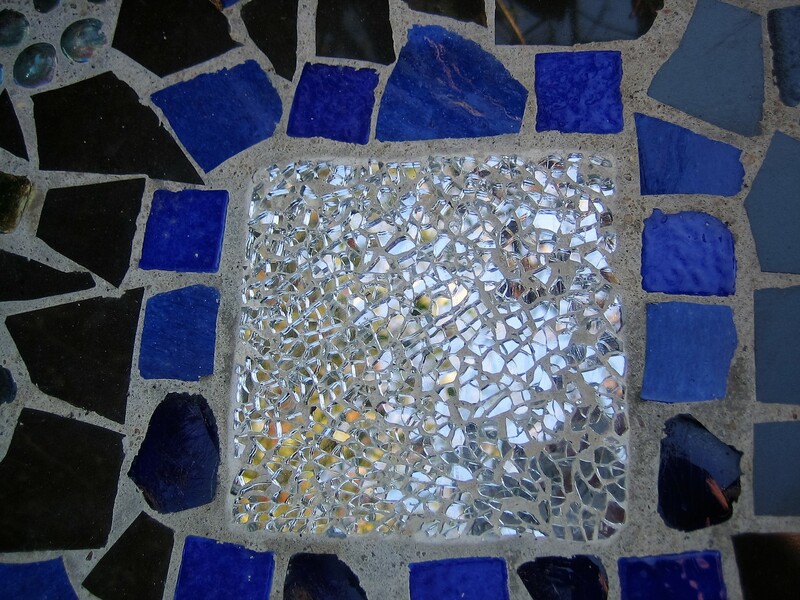 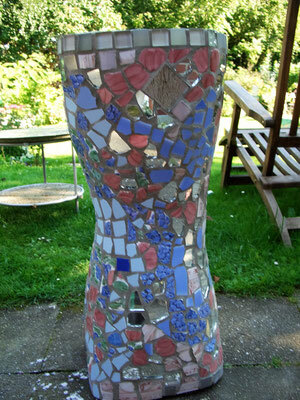 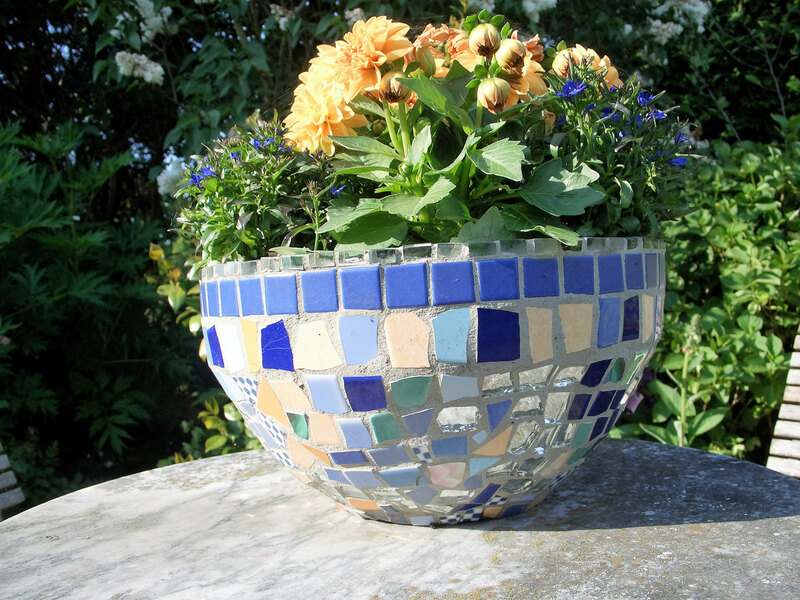 Maybe a bit time consuming and you have to make sure, that the mosaic pieces are frost resistant. 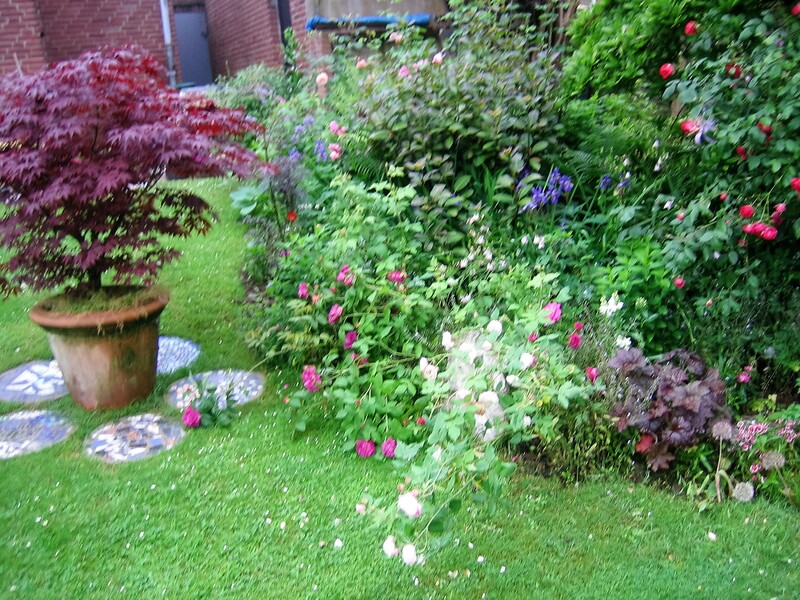 Contact me if you need any help.